Extra Cash!! 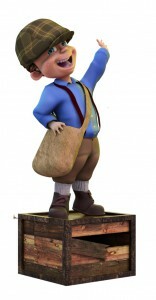 Is the perfect video slot machine coming from NextGen Gaming. 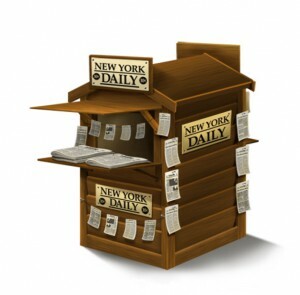 There are 5 reels and 50 pay-lines available and the theme for this game is related to newspapers. As soon as you start spinning the reels you can notice the fact that there are many special features including a bonus game and a free spins round. 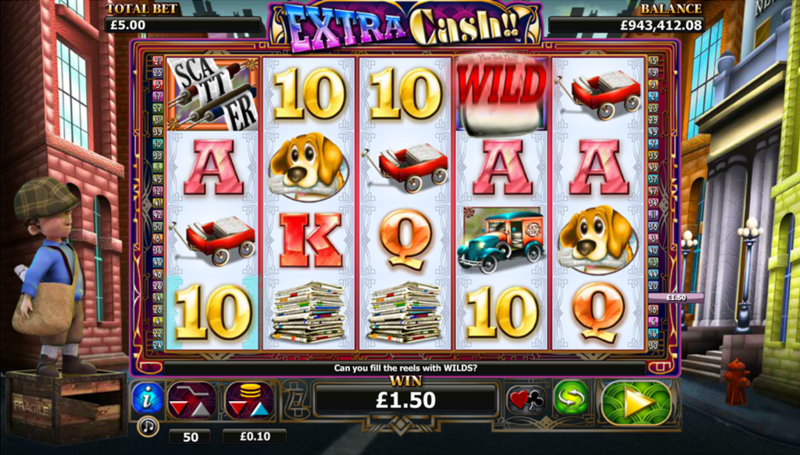 The Extra Cash slot machine was released in March 2014 and it’s still one of the popular games at any online casino powered by NextGen Casino. The game features some cool features and at the same time there are also some nice features available. The user interface for this game is very minimalist. This way you can control the number of pay-lines and the coin denomination only. The betting that is done for Extra Cash starts at one cent per coin and can go up to two dollars. This way the stakes that will put the reels in motion will be more than enough for both the mortals and the high stakes players. Another way you can receive an extra boost to your online casino bankroll with the help of the gamble feature. After each win you have the power to win again 2x or 4x and this is done by playing a simple game where you have to choose the color or the suit of the next card drawn. The coin denomination for Extra Cash slot machine starts at $0.01 and it can go up to $2. Since there are 50 pay-lines available, this games fits perfectly both casual players and high rollers. 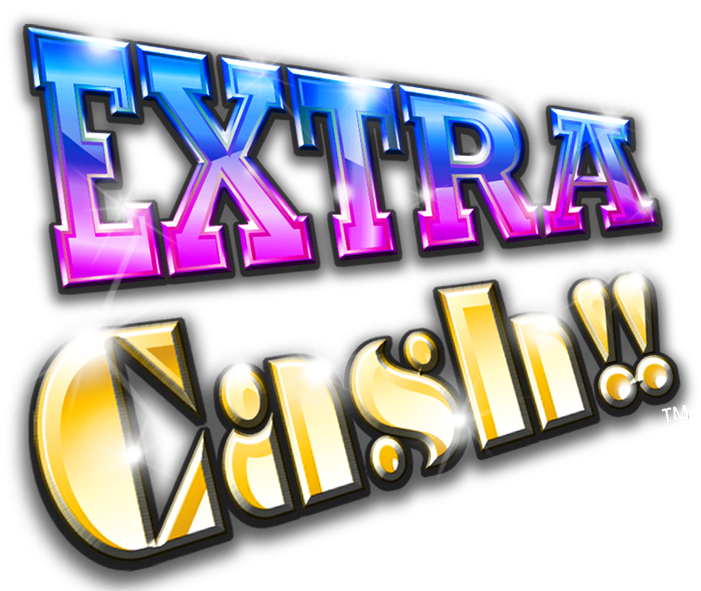 One of the main symbol you can find while playing Extra Cash slot is the Extra Wild. This can appear on every spin you take and it’s only going to be available for the reels that are located in the middle. The most important feature that you can activate while playing this video slot game is the free spins. Based on the number of scatters that you can land on there are 8, 12 and 20 free spins available. Another great thing about the free spins round is the fact that if you are lucky enough to get some wilds on the reels during this bonus round, then these will be sticky and they will be present on the reel in the same position for the entire round. One of the most interesting thing about Extra Cash!! 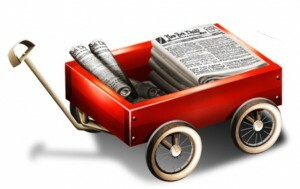 is the fact that it holds a nice theme that puts into the light one of the heroes of the ‘30s, the paperboy, the one that delivered the news and had an important mission that he done for some little extra cash. You shouldn’t settle for little cash, and you can start winning big while playing Extra Cash, especially since there are up to 50 pay-lines available. There might not be a progressive jackpot available, but you can find a decent number of special features that will always assure you to have a good flux of money coming your way and from time to time when you activate the free spins round, you should see a big pay.